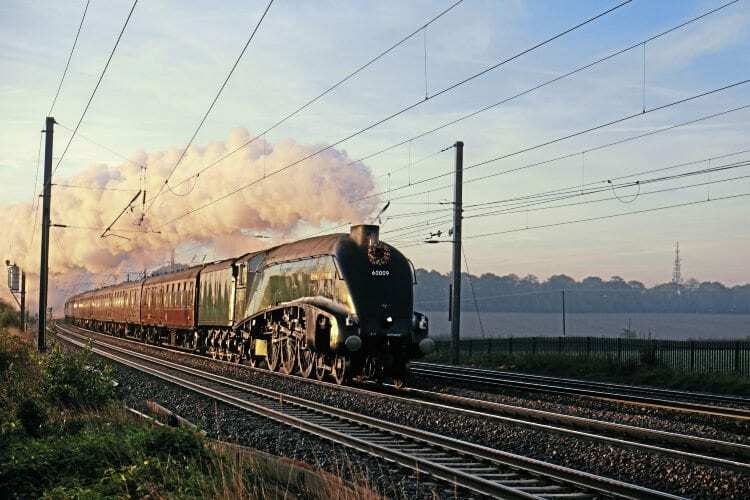 TWO steam-hauled main line tours on October 20-21 had the sombre task of paying tribute to well-known railway figures who passed away recently. Railway Touring Company’s ‘The Yorkshireman’ on October 20 saw No. 60009 Union of South Africa carry a wreath as a mark of respect to RTC founder Nigel Dobbing (see p12). Shortly after sunrise, the ‘A4’ speeds north along the Midland Main Line between St Albans and Harpenden. The following day, BR(W) 0-6-0PT No. 9466 dodges the early morning shadows as it passes Hanwell on the Great Western main line. 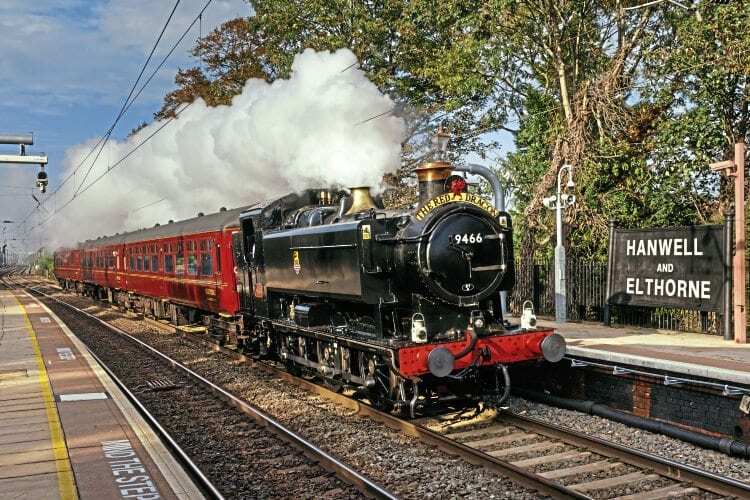 Hauling just three coaches, the train is heading for Drayton Green to form the ‘Dennis Howell Memorial Train’ to Princes Risborough, commemorating the former owner of the ‘94XX’. Read more News and Features in the November issue of The RM – on sale now!